These days, when you talk to college students, you quickly discover the extent to which they view education as the means for getting the better jobs American society has to offer. Put bluntly, they see education merely as a means to an end, the end being a rewarding job that they otherwise couldn’t get without college credentials. They don’t recognize it, but in thinking this way they’ve reduced their education, as well as themselves, to economic cannon fodder. Their sole goal: to have a “decent job” by their mid-twenties in which salary equals success. (Of course, many students pursue graduate school in fields like medicine, law, business, and the like, in which case the job or career is simply on hold.) Learning why things are the way they are, acquiring wisdom, becoming a person concerned with injustice in the world are goals that are virtually meaningless to them. In fact, if you pursue such goals, you might even be labeled as “un-American,” a “socialist” (communist, hippie, anarchist are out of vogue), or even as a potential terrorist. Why is a good-paying job so relentlessly the goal of almost anyone over eighteen in America? The obvious answer would be economic security and independence in modern society. Add the fact that most institutions of higher learning sell themselves as bridges to the world of the better jobs. Motive meets opportunity (or opportunism). But there is, more importantly, a sinister explanation for this obsession with jobs as the raison d’etre of one’s life: having a job generally means that you are less of a threat to the status quo. To use the language of sociologist C. Wright Mills, keeping people from thinking or talking to each other about social and political issues benefits the power elite, the plutocracy. People with jobs—and jobs nowadays are often all-consuming—are often distracted from participating in the body politic, even from reflecting on how their personal troubles are connected to political decision-making. 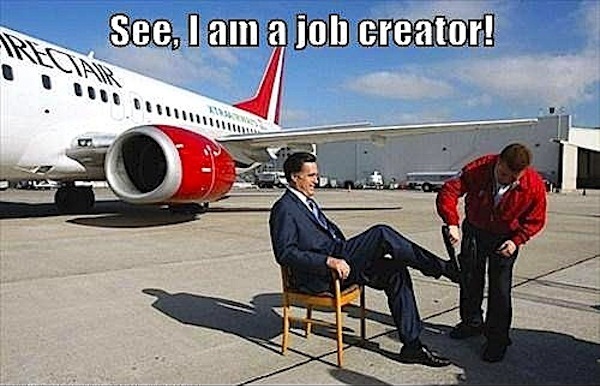 Now, I’m not critical of people who want jobs, get jobs, and work well at those jobs. What I am critical of is the manufactured consent, the almost cultish belief that jobs are our main reason for being in this world. No wonder many hardworking Americans resent the French for having a four-day work week and, on average, at least a month of paid vacation. They have the time to sit around and sip wine and discuss the meaning of life much more than we do. We make fun of the French desire for leisure time during the day because we have swallowed (internalized) the propaganda that work is virtuous, that “work makes us free”—the malevolent inscription on the sign over the gate to Auschwitz. It’s been said the French work to live, and that Americans live to work. We might add that American students seek learning to earn. They don’t seek learning for the sake of learning, especially in the sense of living a deeper life dedicated to social justice. Small wonder that young Americans are so complaisant, so obedient, so unthinking. Qualities that are perfect for cannon fodder, whether of the economic or martial variety. Don’t you think? Then again, we have what Chris Hedges describes as America the Illiterate.